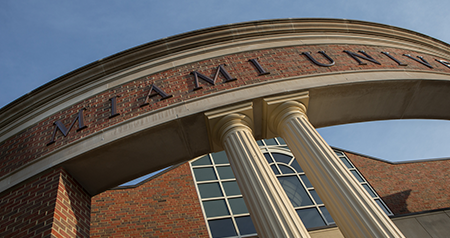 Miami University Center for Career Exploration and Success (CCES) empowers undergraduate and graduate students to engage in career exploration and experiential learning to optimize their professional and personal potential through connections with employers and the Miami career community. Center for Career Exploration and Success prepares students to deepen their self-knowledge, enabling them to choose meaningful career paths, and excel in a diverse, global society. The Rinella Learning Center has programs and services which are organized to help students with varied academic preparation and backgrounds learn to do what is necessary to perform at acceptable levels inside and outside the classroom. Miami's Student Disability Services (SDS) provides a number of support services and reasonable accommodations to qualified students with physical, medical, psychological, and learning disabilities on the Oxford campus. The Office of Community Standards (OCS) serves a role in student success by assisting students in making good choices concerning personal responsibility, integrity, and a sense of community. This site contains information regarding the Code of Student Conduct, the University student conduct process, and other issues pertaining to personal responsibility. The Harry T. Wilks Leadership Institute is committed to the development of "ethical and character leadership for a changing world" and the exploration of transformational leadership with the goal of developing graduates prepared to effect positive change in their organizations and communities.